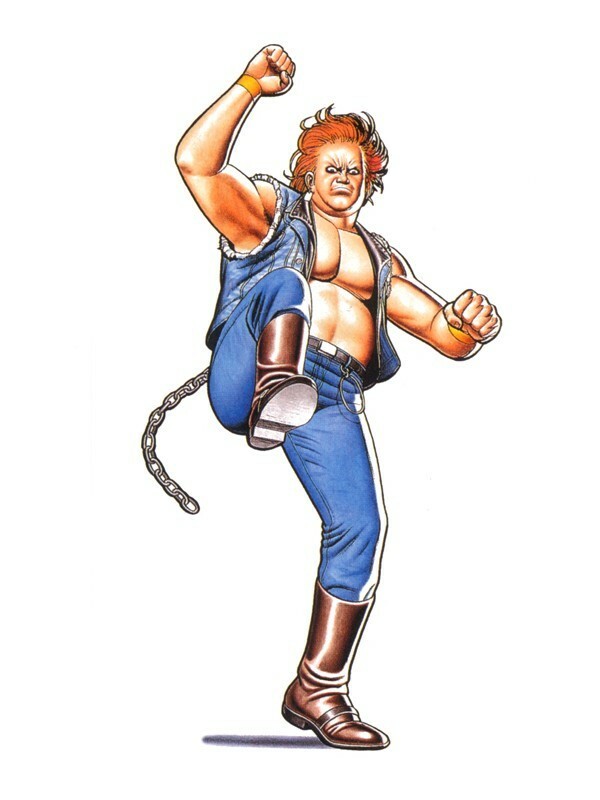 Jack Turner is a member of Mr. Big's syndicate, and a developer of his own fighting style. One of Mr. Big's highest-ranking subordinates, he devastates anyone who crosses his path. 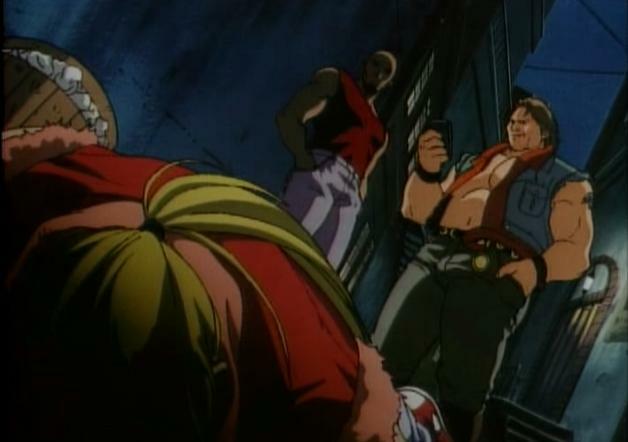 Jack is also the leader of the Southtown gang known as the Neo Black Cats. 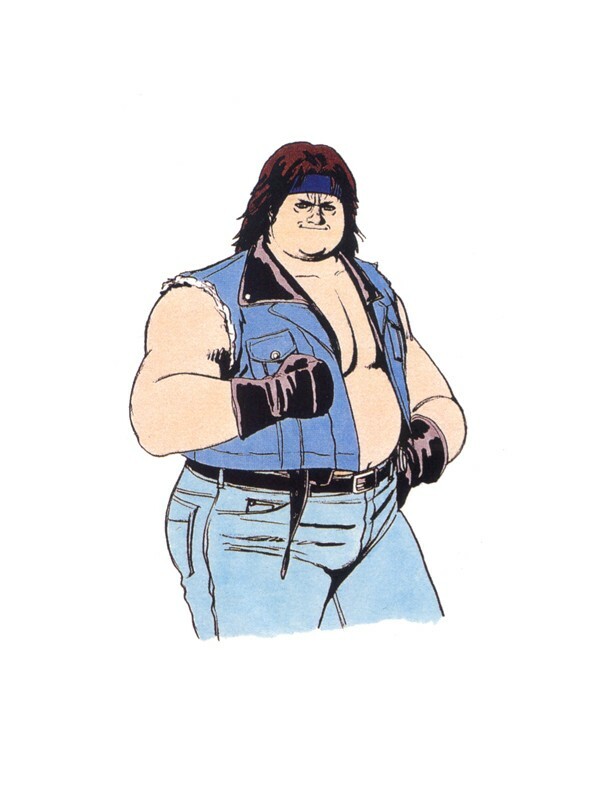 He once had an encounter with Ryo Sakazaki and Robert Garcia in which he lost. 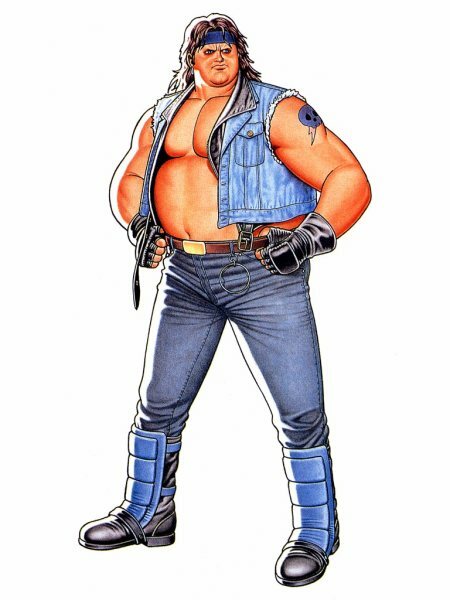 In terms of design, Jack is stereotypical fat drunk biker who you'd find in a stereotypical bar in the stereotypical 90s... lol. His design is straight-forward and to the point, which makes him fit into the AOF storyline pretty well. 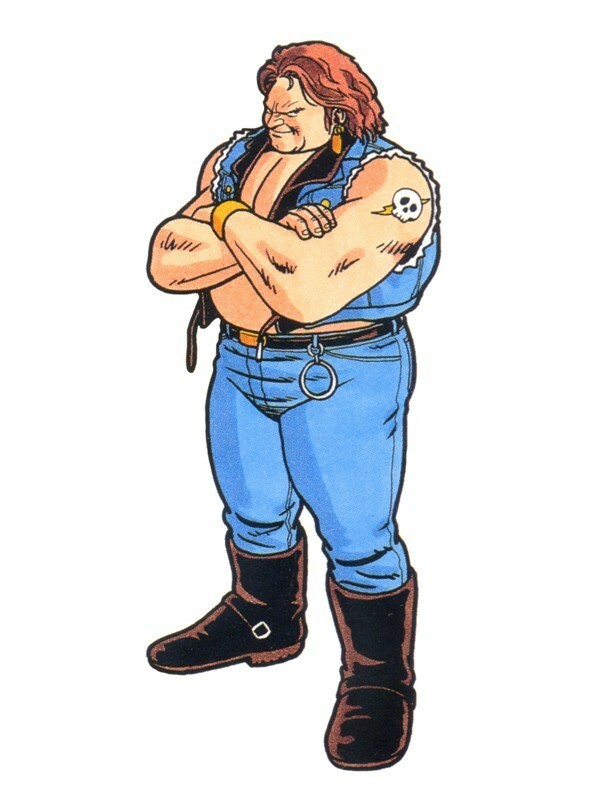 His appearance is actually fairly original in the fighting game realm (especially for the early 90's). 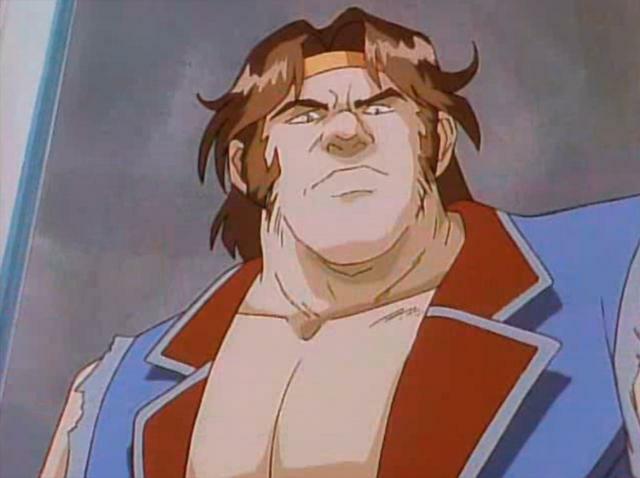 I actually wouldn't mind seeing Jack Turner brought back in a future KOF or something.